There are many different heating methods to get heat; a pellet stove is an appliance that uses pellets to create heat for residential or industrial purposes. There are many different types of pellet stoves available today; technology has certainly made it easier for people living in cold places, creating multiple choices for you. There are different factors to consider while deciding what kind of pellet stove to get. Cost of acquiring the Pellet stove is an important factor but also is the type of additional cost in maintenance, the manufacturer, the size of the pellet stove about your location and its general output, how well it looks, and wherein the house to install it about its purpose. The cost of a pellet stove is probably the first thing anyone should consider while looking for a pellet stove. Pellet stoves are in most cases extremely expensive. They vary in how modern the stove is and how efficient it is. The cost incurred for running the stove after acquisition tends to discourage most people researching on pellet stoves from acquiring them. According to 11Must, the prices are “steep and fuel costs are relatively high, making a pellet stove one of the more expensive heating options”. Operational costs are essential to consider before you choose the best pellet stove. Most pellet stoves come with an auto start ignition that uses electricity if you live in a place prone to electric blackout you will have to choose one with a battery backup system. The cost of pellets is also necessary to consider; a bag 40Lb goes for 5.80 dollars and according to the pellet fuel institute it can last up to 3 days. Pellets stoves come in various sizes some big for large homes and industrial purposes and some not so small. Pellets produce a specific amount of heat measured in British thermal units (btus) it is important to know the amount of heat you require for any purpose, too much heat could be very uncomfortable while too little, does not achieve the objective at all. According to researchers “60000 BTUs can heat up to 2000 square feet of a home”. (Energy Saver). Therefore when scouring for a heating system, it is important to have the accurate spacing at hand to avoid the problem of over or under heating in times of winter. How to discharge smoke is a critical factor when deciding what type of heating system you want to install. Smoke can be harmful to the human health and also the accumulation of smoke is hugely discouraged near properties of economic value as they are a major factor in reducing property value. Pellet stoves can be installed in various ways. They can be designed to align with the chimney of a house. This is great as it utilizes the chimney as it should. Other home designers with limited experience, on the other hand, attach the pellet stove on to the walls of their houses. This has various risks that come with it. According to Yourfire, this type of installation is not only harmful to a person’s health in that it predisposes them to a contaminated environment that is an environmental hazard. The wall installation in most cases is also not recommended by the manufacturer (Yourfire). People who do go ahead with this type of installation void their product warrant in the event of damage while also they release the company over any form of damages in case of property destruction. Pellet stove depend on electricity to function. Therefore, it is important to position them near an electrical outlet for convenience. 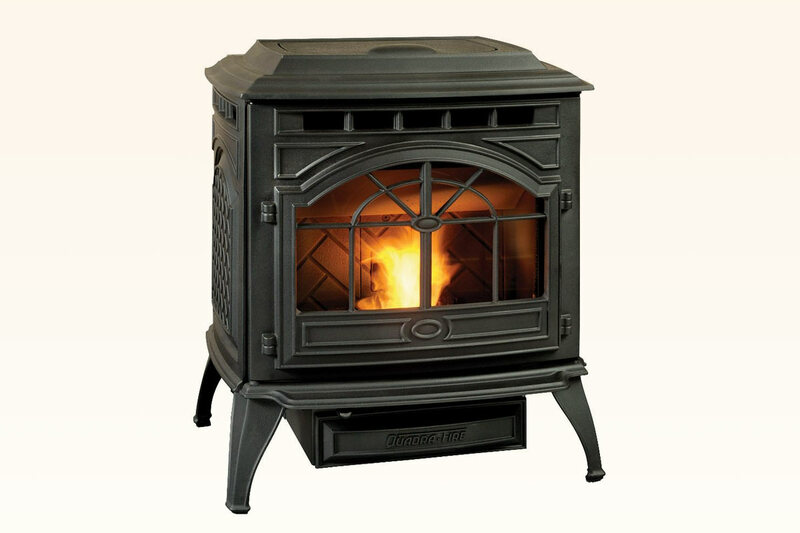 According to specialists in some cases, a pellet stove requires up to “110 volt AC outlet to run” (Chimneyspecialistinc) this, therefore, makes it essential for a buyer to consider the amount of electrical current available per outlet in a location before proceeding to select the type of Pellet stove to acquire. A Pellet stove specialist is important or an electrician to help you understand the type of Stove you may need for your home. It is very important to choose a trusted brand before choosing what pellet stove to buy, they have to be certified by the EPA and should have earned their reputation. Most companies have reviews, check this reviews see the complaints, and go for the trusted brands check the features provided by the manufacturer to go for the best pellet stove. Selecting the best pellet stove for your home could be a very difficult for many people, but it does not have to be, this article shed light into the essential factor to consider when you’re out shopping for a Pellet stove. The pellet stove is a long-term asset that may last for decades, and it would be a shame to rush and acquire an asset of such importance without first considering how it will change various aspects in your daily lives. How it will define your personal space within your home or how it will impact your decision making at work. Only by how it has been positioned, the amount of space it takes, the amount of work that goes to keep it running at normal rates and the cost used to acquire it. All this will affect and alter your way of life. Hopefully, this article will stir you closer to the Pellet stove of your dream.